My students love anything that lets them use color, and lots of it! 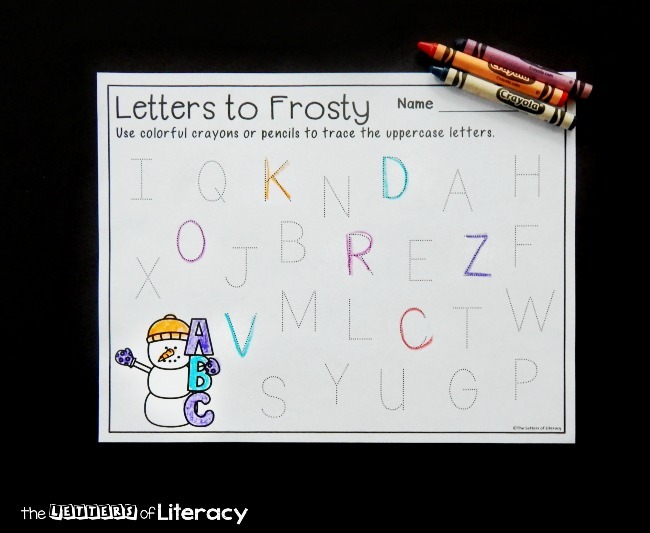 After how much fun we had with our simple print and trace Letters to Santa activity last month, I just knew we should “write some letters” to our favorite snowman, Frosty, too! 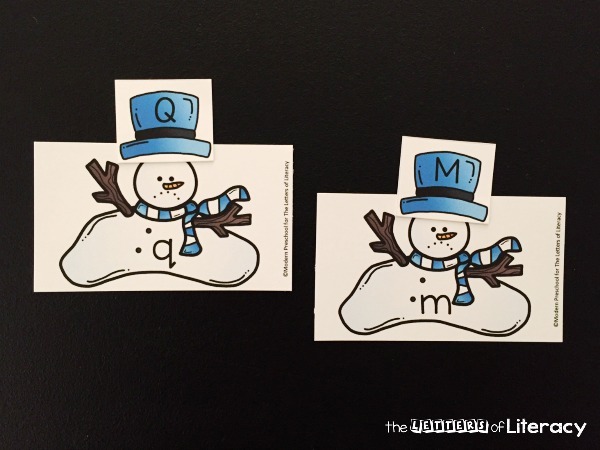 These snowman alphabet tracing printables are a simple and fun way for early writers to work on upper and lowercase letter printing. 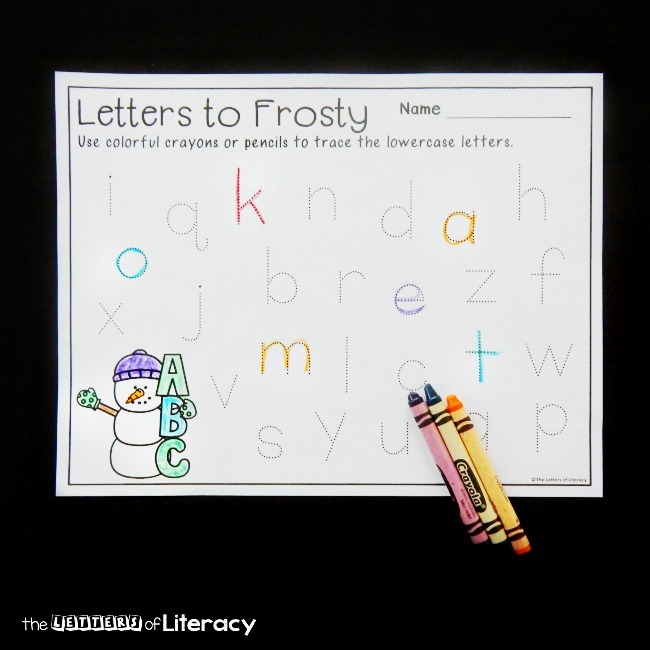 *Pair these with our Snow Centers for tons more learning fun! 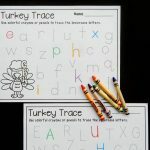 I like to use these alphabet tracing printables for morning work bins or as a literacy center word work activity, but you could also use them whole group, at home, or anytime you need a quick and fun way to get in some letter practice. 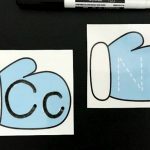 You can choose to work with upper or lowercase letters, or, if your kids are working on both, you can print double sided. My kids love anything “rainbow writing” where they get to write in any color they wish, so they are pretty happy to use our trusty Crayolas. 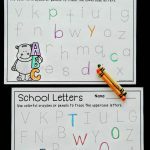 Plus, if you have a crayon sharpener, letter tracing just got that much better! They pick a color and they randomly trace any letter they choose. 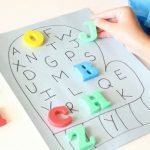 I encourage them to say the letter name and sound while they trace, especially if I am working with them in a small group. 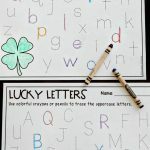 A great way to make this a guided activity is to play “letter hunt.” You say the letter sound, and then they have to find the matching letter and trace it. 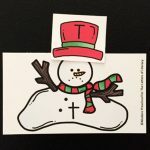 It’s super easy, yet so engaging! 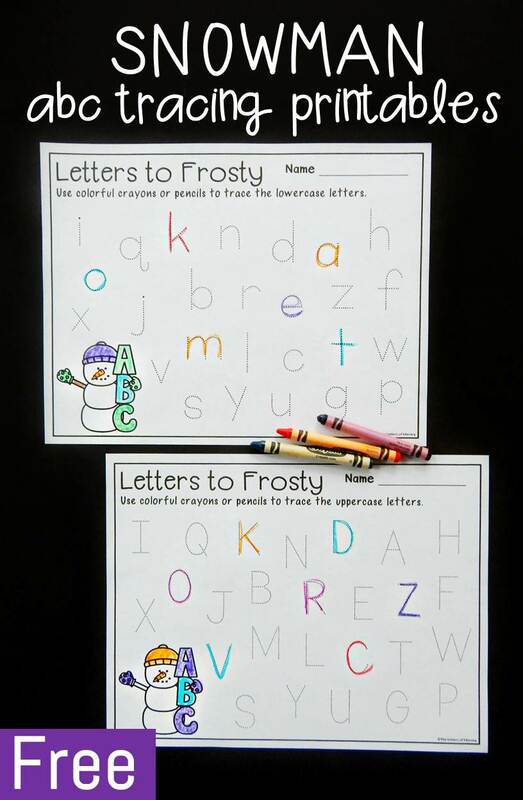 Ready to write some letters to Frosty? 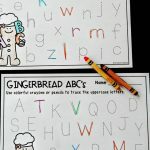 Grab some fun writing tools, and download your copy of the alphabet tracing printables by clicking the blue button below. 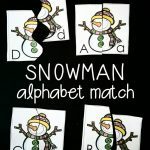 Then, let Frosty help you with your ABC’s some more with a fun Melted Snowman Alphabet Match!